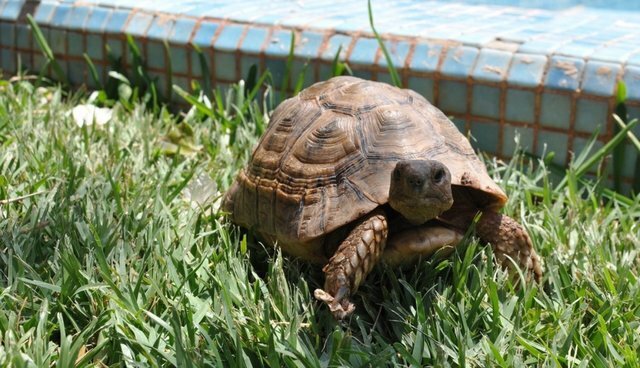 A tortoise has no place in the suburbs -- which is essentially the thinking behind most animal amnesty events. The usually day-long affairs are meant to offer exotic pet-owners a free pass to turn in their wild (often illegal) animals so that they may find more suitable homes, and the weekend's event near New York City certainly didn't disappoint at the end of the round-up. "Nothing surprises me," Roy Gross, who works with the Suffolk County SPCA and helped organize the first mammal-friendly animal amnesty event in the area, told the New York Post. "If somebody walked in with a tiger it wouldn't surprise me." Well, nobody did walk in with a tiger over the weekend, but there were plenty of other odd and incredible animals: a two-and-a-half-foot-long (and highly venomous) albino western diamondback rattlesnake, two boa constrictors, eight box turtles, an alligator snapping turtle, a pair of marmosets, two yellow-bellied turtles and two African spurred tortoises. All of the animals will receive veterinary evaluations before they're sent to new homes at wildlife sanctuaries.